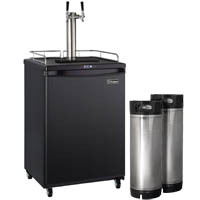 20% Off + $400 Instant Savings for a limited time! 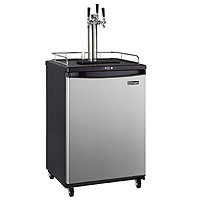 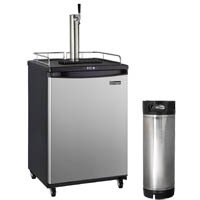 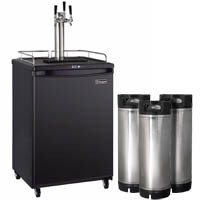 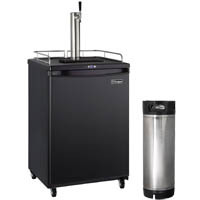 Beverage Factory is proud to offer the brand new Kegco Z163 Commercial Grade Kegerators. This model has been designed and certified to stand up to the demands of busy commercial environments, but is quiet and refined enough for use in the home. 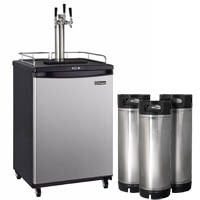 While it meets NSF/ANSI 7 standards for food protection, its sleek design and minimal noise level will not be out of place in your kitchen or home bar. 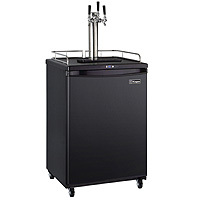 With a spacious 5.8 cubic foot interior, it can house one full size keg or up to three 5 gallon homebrew kegs and includes three adjustable wire shelves for extra food storage when you're not dispensing beverages. 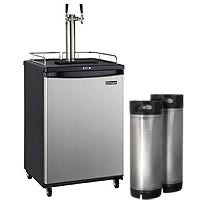 Whether you want to have beer, cold brew coffee, soda or wine on tap at the office or in your residence, we've got a model that will suit your needs.